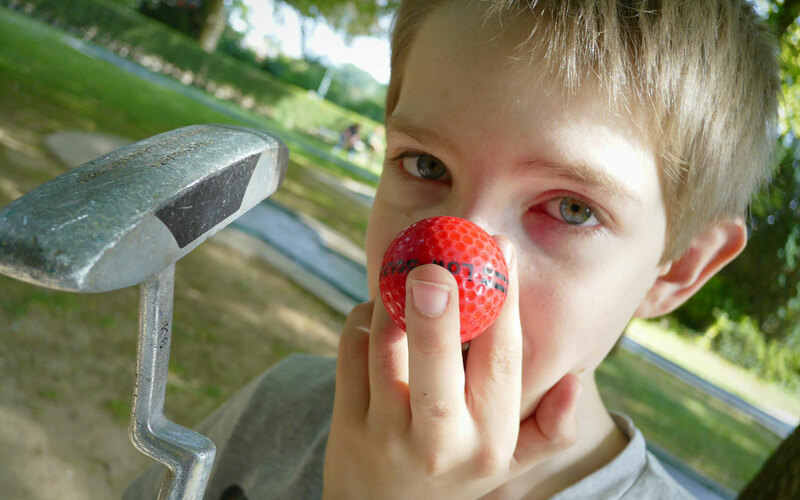 If singing and watching live music is not your thing, why not join the kids in playing a game of miniature golf? If the kids are getting antsy take them for a romp in the playground. There’s nothing like zipping down the slide and hanging on the monkey bars to drain kids’ energy. Whatever visitors decide to do during their vacations to Sunbanks Resort, they will be reassured to know the resort owners take family fun seriously! That means making sure every guest has a blast on every day of their stay. When the kids start getting fussy there’s no better remedy than a playground. The Sunbanks Resort is currently in the process of making improvements to its current playground. Parents always feel better when they are assured their kids are safe and Sunbanks Resort management is keeping safety a top priority in their playground redesign. For the more serious golfer, the Banks Lake Golf Course is located just across the street from the resort! For more information and rates click here! !